State Farm apparently has too much money to spend on advertising…which should make their policyholders pretty upset. 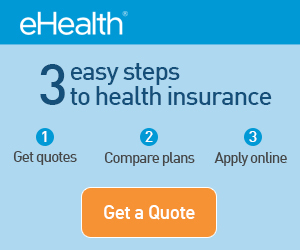 After all, if they are the largest personal lines insurer in the United States, why don’t they offer the lowest rates? Isn’t that how the concept of bulk sales works? But I digress. State Farm, which is focused on the increasing trend of individuals buying insurance from direct insurers like Progressive and Geico, has launched a campaign to remind us all why we need an insurance agent. I visited the whyagent.com website to see why I needed an agent, and was disappointed to find they don’t really offer any solid reasons, rather than make a weak attempt at comedy. State Farm’s overall point appears to be that we need an agent so we have a live, local person to answer our questions and “take care” of our insurance needs. Of course, that’s really only half the story. The other half of the story won’t be addressed by State Farm because it won’t help them sell any insurance. Just having “an agent” might not do you any good. The fact is, using an independent insurance agent, rather than a captive State Farm agent, is the best route to ensure you get the best deal on your insurance (independent agent vs captive agent). A captive agent only has one pricing option for your policy. No choices…other than take it or leave it. The only way to get a “better deal” (lower your insurance premium) from a captive agent is to reduce coverage. If you buy a State Farm insurance policy and they raise their rates, your agent can’t do anything for you, other than tell you that “rates are going up everywhere,” which is an outright lie. Insurance rates have been dropping for nearly six years. On the other hand, an independent insurance agent can “be there for you” and shop your rates with several different insurance companies to ensure you get the best rate, without sacrificing coverage to snag a better deal. If the insurer you choose raises their rate, an independent insurance agent can simply shop your rate again and move your policy to a company who isn’t raising rates to take more of your money. Remember, State Farm, like any other national corporation with a multi-million dollar television advertising budget, is selling an image. I can’t blame them, it’s proven to work. But what most consumers aren’t aware of is the fact that many captive insurance agents had ZERO insurance experience prior to becoming agents. In fact, that is one of the main recruiting strategies for captive insurers. They can give you a turnkey insurance agency. That’s a pretty scary thought. Conversely, independent agents almost always have multiple years of insurance industry experience because they cannot get contracts with insurance companies without proving they know what they’re doing. Do yourself a favor. If you’re currently insured through one of the large insurance companies that advertise on television every waking second, at least consider contacting an independent agent to obtain a quote or two. You might be shocked to see how much you are overpaying for your insurance.